Engineered Wood is one of the best renowned flooring products you can buy today. 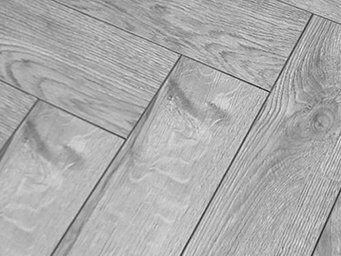 Here at Floors Direct you can buy quality engineered wood flooring at the lowest prices starting from as low as £13.24 per m². Browse our range of engineered wood floors and find a collection of best-selling types and finishes to suit your room. You will find products ranging from dark to light oak, rustic hand-scraped to brushed oil finishes to plain simple and natural looking floors. To simply describe engineered wood floors, it has a solid wood layer on top and a high density fibre (mixture of woods) at the bottom. Firstly, is that laminate has a photo graphic layer at the top whereas engineered has a real solid wood layer to give the pure natural finish. Secondly, laminated floors usually consist of MDF whereas engineered have HDF (higher density fibres) to give it a stronger and more durable structure to withstand heat and moisture much better. This is the very reason why engineered wood floors are used with underfloor heating. How are engineered wood floors made? The key process involved in manufacturing engineered wood flooring is in the core of planks. The top solid wood layer is simply glued down to the core but it’s the question of how the core is made that gives its true engineered properties. The core is built from layers of HDF or plywood which are assembled perpendicular to each other aligning each piece against the grain of its neighbour, creating a pattern that give the floor its desired stability. If you are installing over a wooden beam or concrete floor then you can use a strong adhesive to glue the floor down securely. Alternatively if you have a plywood floor then you will need to nail the floor down into place. Fixing and laying the floor out is the easy part. The edges of each plank are manufactured with grooves to create a jigsaw effect allowing them to adjoin together when laying the floor. Be careful when you attempt to glue or nail down the floor ensuring the position and orientation of the floor is correct according to your room.